ELMARK developed MINI-PRO line of Compact Labelers solved the Snack & Confectionery industries’ dilemma of how to efficiently & economically apply promotional labels, & instant redeemable, on-pack coupon labels onto retail bags. Previous to this customer oriented solution, companies would manually hand apply these label structures in-plant at great expense & time consumption. 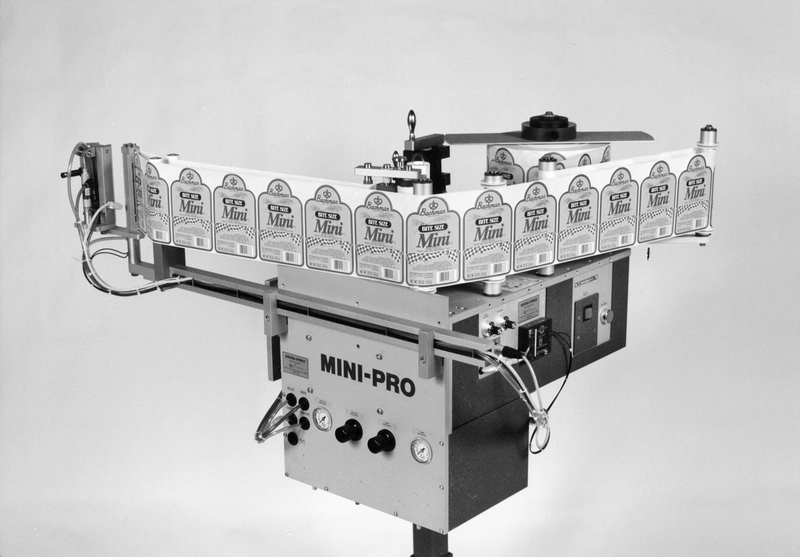 The MINI-PRO Compact Labelers mount directly on all makes of Vertical Form Fill Seal Baggers & apply the labels / coupons on the bag film as it travels over the forming tube for accurate placement on the bag at production line speeds – resulting in optimal efficiency. Moreover, the compact footprint & value price efficiency of the MINI-PRO Compact Labelers has resulted in their usage in a wide array of other Industries & applications for simple automated label application.